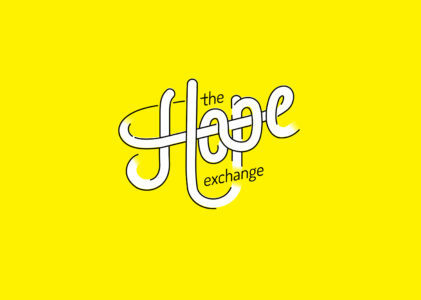 Our new name means exactly what it says: The Hope Exchange is a refuge, the place where the homeless of Cape Town can come to exchange life on the streets for a sense of hope and the promise of a better tomorrow. We might not be able to help everyone all the time, but through our services we touched the lives of 2 081 unique individuals for during the last year (2018/2019). Our new logo is made up of interlaced letters that represent the on-going connection our organisation creates between the community and the less fortunate, while the script font and simple line work instil a sense of humanity and approachability. Yellow was chosen as the main colour because it represents sunshine, optimism and energy, it encourages communication, and it builds confidence. These are all values that we as an organisation believe in and encourage in our clients. Importantly, bright yellowis also eye-catching, and when used with black, creates an impactful colour combination that is easy to see and read from afar. 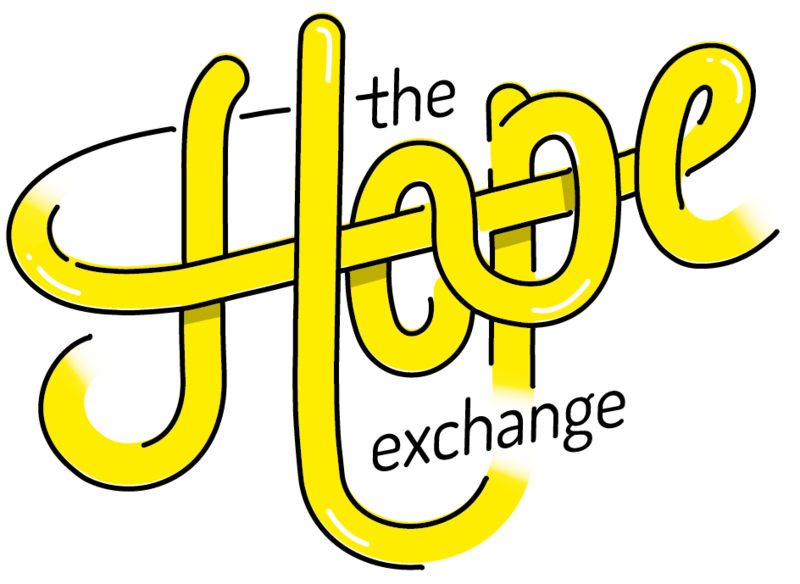 For The Hope Exchange, our neon yellow logo represents the safe place we provide for our clients, their temporary home where they can “stock up” on dignity, care and support until we can re-integrate the homeless into society or reunite them with their existing family homes or find new ones. Our new name and corporate identity were created in partnership with King James, an advertising agency in Woodstock, and we want to thank the team for their energy and creativity.